My entry into challenge #223 at CAS(E) this Sketch. I created this a thank-you to our kids for hosting Memorial Day weekend at their cottage. I masked the center oval and sponged on Tim Holtz distress oxides. 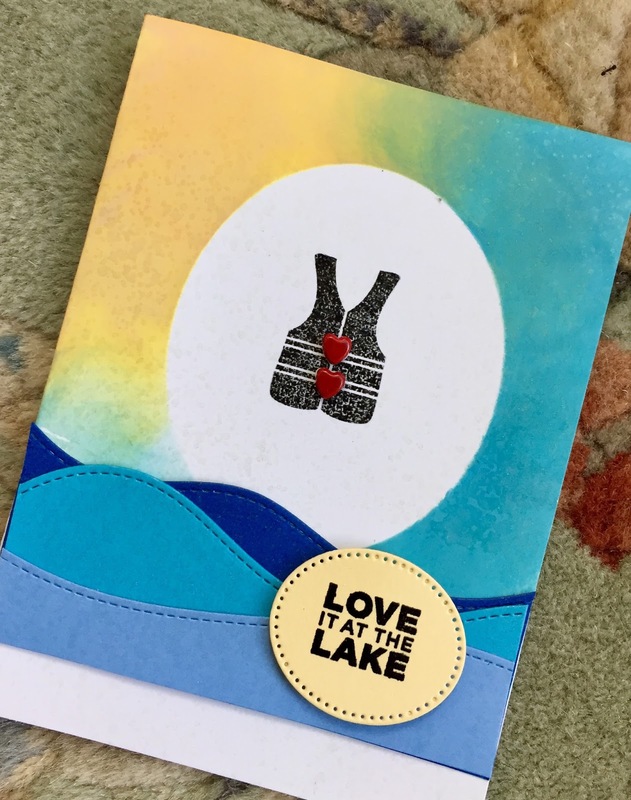 The stamp is Lake Life from Cathy Zielske. I made the waves with the Stitched Hillside borders from Lawn Fawn. I glued the tiny hearts on the vest from brads in my stash.